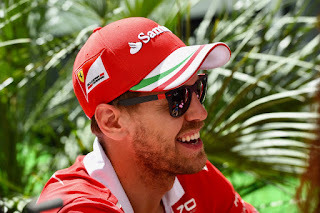 In love with Formula 1: An interview with Sebastian Vettel! 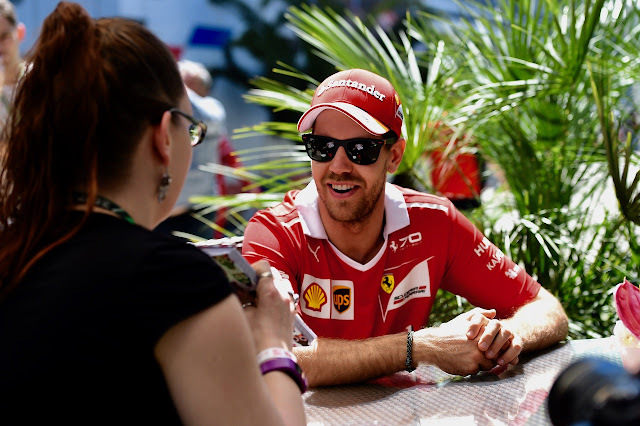 An interview with Sebastian Vettel! During the Russian GP weekend I had a once-in-a-life-time chance to sit down with the quadruple Formula 1 world champion Sebastian Vettel and interview him in terms of his F1 career. Q: First of all what has changed since last year? I mean you seem to be utterly on flames this season! Three races and two wins! What has changed since last year? SV: I´m sure that I learnt a lot last year. I think obviously this year we have a stronger package, which allows us, you know, fight for victory. I think in the beginning of last year honestly was quite good as well. We were not where we wanted to be after the break but I think the first couple of races should have been better than they were and then people look back at last year and say it was so bad but in the end I think it wasn´t actually that bad. We still managed to get a lot of podiums. We had some races where we were not doing a great job. Some races were a bit unlucky, which didn´t lead to a good result. And then, very quickly obviously you lose connection to the front. Mercedes were very strong and dominant last year again so... I think it was a different year and this year seems to be a different start to the better for all of us. Q: What has been the most difficult moment in your Formula 1 career and how did you get over it? SV: Well, first of all I think that I´m blessed that I´ve had a lot good moments so not so many bad moments. But one of the most difficult that I remember that comes into my mind is 2009 at the end of the year, Brazil when the championship was decided before the last race. I was really down because, okay people said before the race, Jenson has so many points, he is so many points ahead and so on. I was believing we can do it until the end of the race so when I had to realise that, you know, fighting for the championship is not anymore an option I was quite down so... Also that point, as I said, now that I look back I´m very blessed because I´ve won four championships and trying to win more but... Yea, at that time obviously, you never know if you get another chance to win championship or fight for championship so it was quite tough to realise that, you know, the dream was over. But for sure it gave me a lot of boost for the last race in that year in Abu Dhabi and then obviously the next season, which was very good. Q: Late Dr. Aki Hintsa is one of the key figures behind your success. What are the most important things or lessons that you have learnt from Dr. Hintsa? SV: You need more than your book to write that down! (laughs) Well, first of all, Aki was a great person and I think mostly it´s the humanity that I learned... Because he has seen a lot of people, he has met a lot of people from all different types of... how can I say... society... But I think he was inspiring in many ways to anyone because he was the person he was and he had the gift talking to people. He never tried, you know, convince me of something or this is how you have to do it, this is how you have to think. It was always, you know, when you talked to him it was always on the same level. And that I think he had a great gift and he was obviously key. Very early on the way I met him was a complete surprise. We had the same... we were on the same plane to the test in Barcelona in 2007. I didn´t know him, he didn´t really know me and then we sat next to each other on the plane and then we said, yea, when are you flying back and we had a little chat and then we had the same flight back as well and then I said how do you get back, where do you live and then he said in Switzerland. Okay, but where and it turned out we lived in the same village. So I said okay no problem, I can take you back home and that´s how we started and then we talked. I was fascinated by his work. First of all, when I met him I said okay I want to work with you. I know that I had different people taking care of that side, physical preparation and so on but I want to work with you, even though he was with McLaren, I was with Red Bull and BMW at that time but... you know I... For some reason, sometimes you know things in life and I wanted to work with him. Yea, and then, he said okay, we shook hands and that´s how we stayed in touch in the beginning and then we actually started working together so it was a great start and then as I said in the beginning it was only the professional side because I saw that this is a way to become more professional, to become a better driver. But then, throughout the years, I think we had a very deep connection and good friendship and I started to appreciate the human side of Aki, which I think is the biggest inspiration. I got... so... Obviously it was quite a big loss but yea, actually because we didn´t see every day it still feels, his words are still very much with me. His advice are very much with me, we exchanged also some stuff in writing so on so on. In a way he´s still there always and still feels like that he´s there to ask, even if he doesn´t answer anymore but... you know. He has obviously been a very important person, plus he introduced me to the, you know, the great and positive side of Finland, which I didn´t know beforehand. Q: Which outburst do you regret more, Turkish GP 2010 (the outburst after colliding with teammate Webber) or Mexican GP 2016 (team radio message to Charlie Whiting)? Why? SV: I don´t regret either one so. For sure, knowing what I know now, maybe I would do things differently but... Probably, if I had to choose, I would pick the Mexico last year because I was insulting, you know, someone, which wasn´t my intention. In the heat of the moment in racing, it´s just the volcano that burst. Q: Then about your Finnish. How are your Finnish skills? I mean your Italian is impressive. How would you describe yourself in Finnish? SV: Umm... Ei paha (Not bad)! (laughs) I know some words. Obviously I´ve had Finnish trainers for the last eight, nine years so. Yea, and obviously through Aki, I like the Finnish culture, I like Finnish people, I like the country, I think it´s beautiful so. My Finnish is not very good. (Interviewer´s comment: But you pronounce it very well indeed.) So at least when I come in somewhere say hello, they think I´m Finnish but then... I´m lost. Usually Finnish people speak English very well so it´s quite easy. Q: Is mental training part of your training programme? If it is, what kind of methods do you use? SV: Not really. So... Yea, I don´t have any methods. I mean there´s stuff that I think you can call mental training or preparation that I´ve picked up, you know, throughout the years trying to get into the zone before the race, listening to, you know, the same music, having the sort of same routine, closing my eyes, visualizing the track and so on but it´s stuff that sort of came up through the years. It´s not really that, you know, I sat down with a guru and he told that this is what you have to do. Q: What has been the most terrifying moment on track? SV: Terrifying, in terms of scary? Well, fortunately I have to say -touch wood, I don´t see any wood- but that I didn´t have a huge crash so far in my career, which obviously helps. I´ve had a couple of shunts for sure. Yea, I think I broke my finger ten years ago in World Series but other than that nothing big happened. Usually I think you always feel in charge of what you do, you feel in control, even though you are on the limit and you can lose control easily when you are pushing too hard but. I think the worst, terrifying moments are when you lose the car and you know that there´s nothing you can do to stop you hitting the wall or the barrier or whatever so. It goes fairly quickly if it happens but these moments are not so nice. But as I said so far, nothing happened and it´s not something I think about, you know, when I´m driving so I´m not scared of taking a risk and trying something new. At this stage the dictaphone overheated and stopped recording the interview! I also asked Sebastian about the things he has learnt from teammate Kimi, on or off track. Sebastian told about his appreciation and respect for Kimi, as they have no "bullsh*t" in their relationship, Kimi being a very straightforward guy. As Sebastian is known to like Finland and Finnish people, I also wanted to know, if he has ever tried winter swimming. And I was surprised that he said he has! That has also been thanks to Dr. Aki Hintsa, who has introduced the crazy Finnish hobby to Sebastian! Seb is a generational phenomenon and knows how to build the team around him. I've followed him from before his F1 career and wish him well in his quest to earn his 5th WDC. Finally, he's articulate and nicely makes up for his monosyllable teammate! Monaco GP: First Ferrari win since 2001! 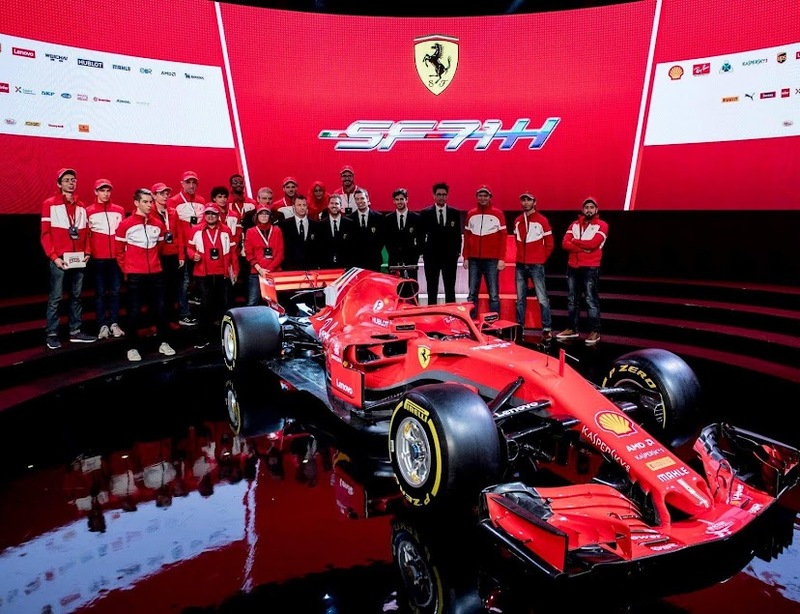 Russian GP: When dreams met reality!